The usual tourist haunts outside of the thriving, culturally rich, metropolis of London may include visiting castles, roman ruins, quaint English market towns and villages complete with cosy pubs. Throw in an afternoon rambling through rolling scenic hills with maybe a stroll along a pebbled beach and most visitors call it a day. The thought of visiting an English winery would perhaps not be even thought of in this land of beer and cups of tea. It may come as a surprise to know that according to winecellardoor.co.uk, there are over 200 wineries who welcome visitors in the UK, with most of these being in England. Don’t worry, visitors to Wales also have a choice of wineries to visit. In the past decades, English sparkling wine producers have proven that their delectable fizz competes on equal footing with those of the prestigious region of Champagne. With warmer vintages becoming the norm, this should not to be unexpected. That limestone rich soil that the vineyards of Champagne and Chablis are famously grown on is the same as found in some of the best sparkling wine vineyards in England, particularly in the South East. That is not the only similarity, as the best English sparkling wines are made with the same grape varieties and using the same method as those in Champagne. 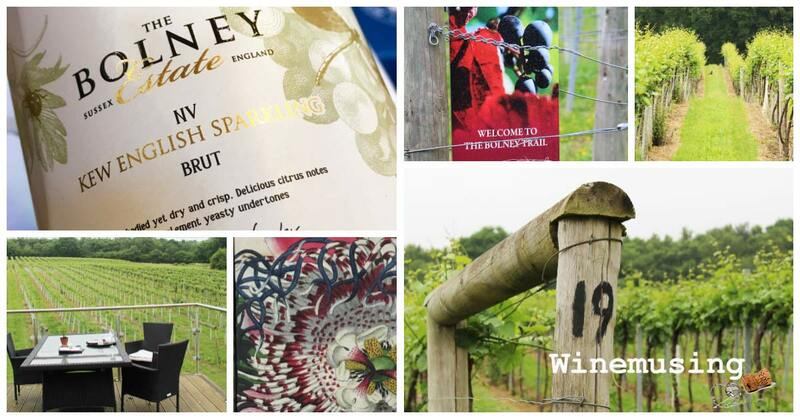 What has also become clear is that there is so much more to discover about English wines than just great fizz. Grape varieties such as Bacchus, Pinot Noir and even Dornfelder are making wine drinkers sit up and take notice of what is in their glass, making a visit to at least one English winery a must on any vinous loving traveller’s itinerary. This is one of England’s better known, corporately owned, wineries thanks to its bevy of award winning wines. Still, it has a great ambiance at its cellar door in Kent. It also has a brewery producing Curious beers and ciders, and there is also gin, vodka and brandy under the Chapel Down portfolio. The cellar door is located on the eastern edge of the beautiful High Weald in Kent, a county known for its beauty and iconic oast houses. This is a cellar door that is well worth the drive, just to drink in the scenery as well as to learn a lot more about English wines. 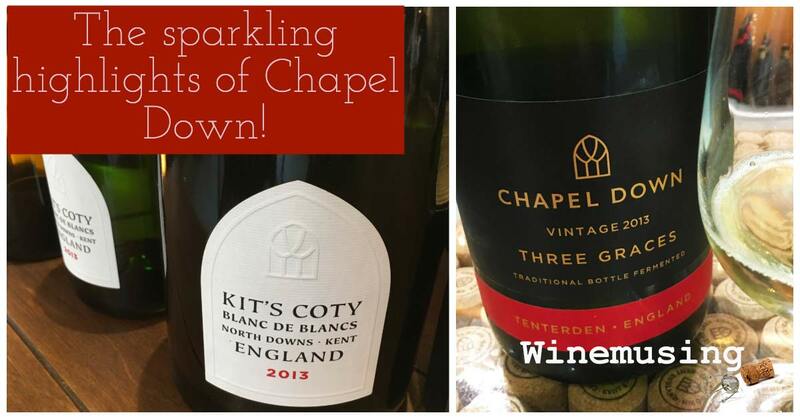 Chapel Down has a number of sparkling wines in their portfolio, one of these is the plush moussed berry, citrus Chapel Down Three Graces Vintage Sparkling or the recently released Kit’s Coty Blanc de Blancs which is a classy curvaceous blend of bready lemon, apple and peach. For those who prefer skin contact white wines, they offer an amber hued Bacchus which fits the bill as well as a wild ferment Bacchus that has a lovely savoury length. Amongst the reds, as well as an elegantly proportioned Pinot Noir as well as a fun blend of Pinot Noir and Rondo that delivers intense morello cherries, liquorice and spice. The cellar door has a restaurant, a tasting room and lovely garden, plus a wonderful additional space for courses or tastings as needed. Being the size that it is, this is the winery that if you want to ‘drop in’ as you go past, it is very easy to taste there without having to do any tours. This makes it a great winery to visit and get to know the grapes that make the English wine scene so interesting. 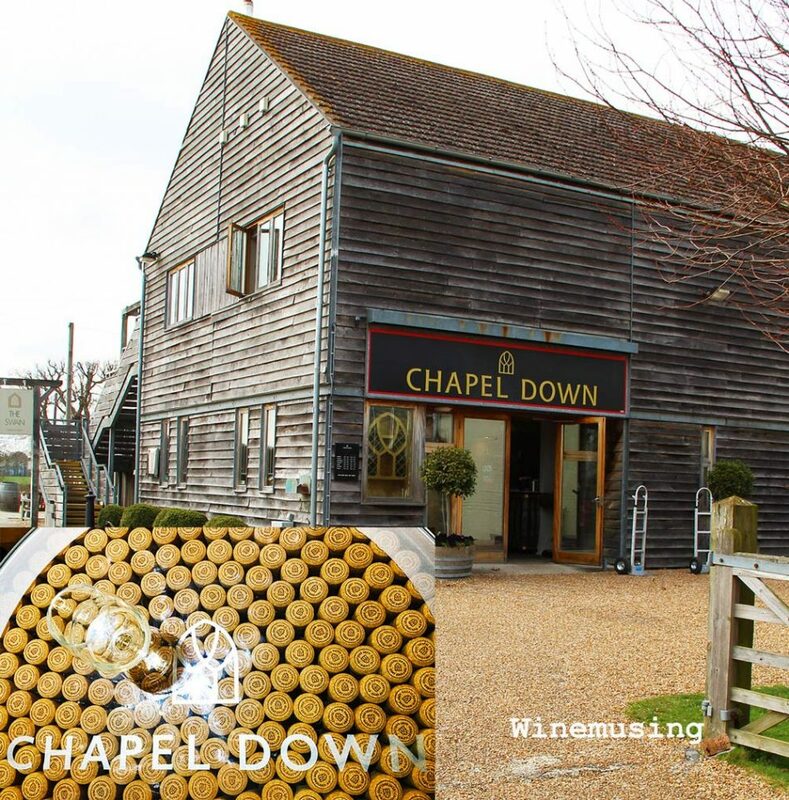 Chapel Down wines are perhaps the easiest English wines to find in wine sellers and on wine lists. A Sussex winery owned and managed by the Pratt family just outside the village of Bolney giving the estate its name. Their cellar door houses a large café with a first floor deck that has a lovely view over the vineyard creating an atmosphere that, combined with the wine, certainly makes it hard place to leave. The estate produces a wide range of still and sparkling wines plus a delicious vermouth using ingredients foraged from their hedgerows. There is a gin made using spirit distilled from their own juice too. 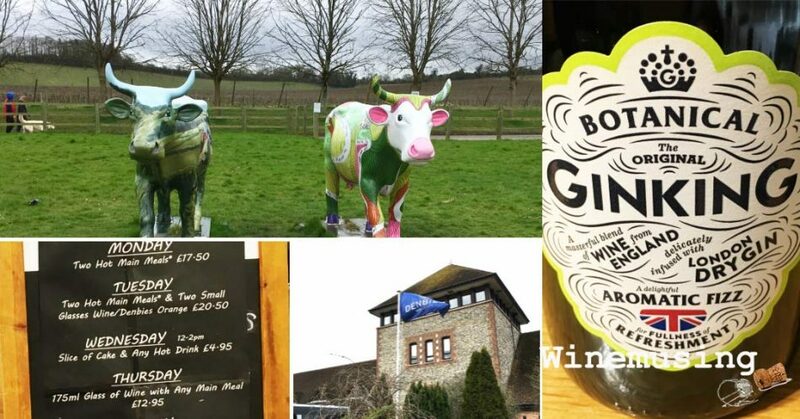 One of the highlights of their range includes the Bolney Estate Foxhole Vineyard Bacchus, a white wine that shows a savoury spice nestled in amongst the honeysuckle, white peach and elderflower notes. It is good drinking and is certainly a wine that will impress at lunch. Another highlight can be found in their ‘Kew’ range, made for that horticultural slice of heaven, Royal Botanical Gardens, in Kew. 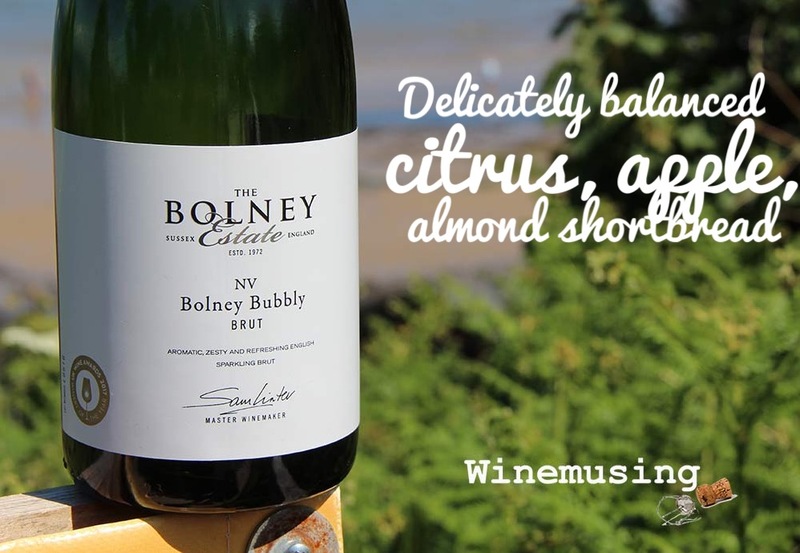 The Bolney Estate Kew English Sparkling White has an evocative nose of floral, zesty lemon, apple and minerally chalk. It is a shapely creamy fizz that retains its fresh vibrance. Bolney Estate wines are quite well distributed and you will find them on wine menus and wine store shelves around London. The entire Kew range is also available at Kew Gardens gift shops. Visit the winery website for more information bolneywineestate.com. While the Poole-Bournemouth region is known for its sandy beaches (not as common as you might think in the UK!) and quaint Dorset villages, there is a vineyard that deserves your attention. Sarah and Andrew named their family-run vineyard after the dominating 350 – odd year old oak at the foot of the slopes of the estate. The vineyard is planted with Chardonnay, Pinot noir and Pinot meunier which each play a part in their sparkling wine range. A compact range of four wines each named after oak trees and made by Dermot Sugrue at Wiston Estate. The honeysuckle spice nuanced English Oak Engelmann and the salmon hued orange shortbread and berry English Oak Chinkapin are stylish blends of all three grapes. 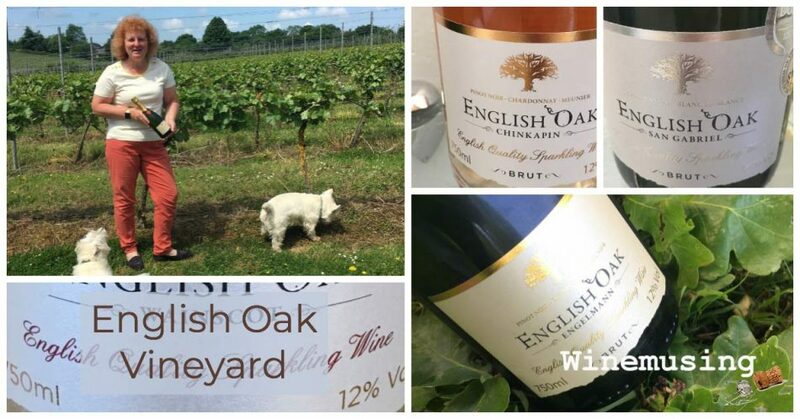 The English Oak San Gabriel is a zingy lemon brioche Blanc de Blancs highlighting the quality of the Chardonnay and the lightly herbaceous, stonefruit and citrus English Oak Wainscot is a Blanc de Noirs made from their Pinot noir. 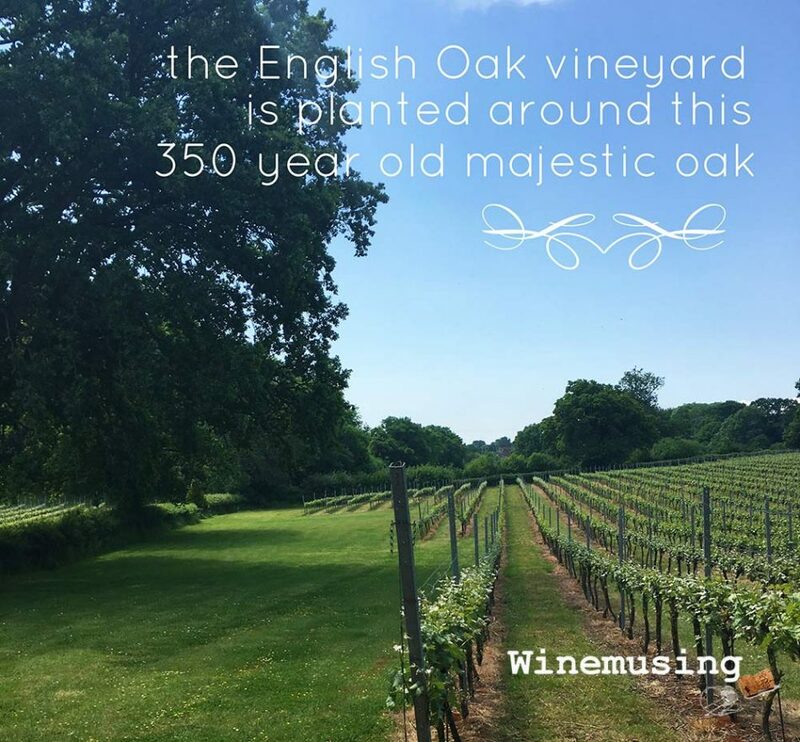 There are tours available, and that oak tree at the centre of the estate is a stunning spot for one of their picnic hampers or to hold an event. You will find their wines appearing on fine wine lists, particularly locally. Contact the winery to book tours, those picnics look mighty good too. Perhaps this is the cellar door closest to London (about 30 minutes by car from the western edge of London) and one for those who do not have time to travel further afield. Denbies is located just on the outskirts of the township of Dorking in the scenic hills Surrey. It is certainly a lovely part of the world to go for a drive many beauty spots and picturesque villages in the vicinity. Do not arrive at this cellar door without booking a tour, though, as you will be greeted by plastic shot glasses to taste with. The Denbies Bacchus is worth trying. It shows that Bacchus is finding its stride in the English vineyards. The 2015 vintage is dry with some savoury spice complimenting the fresh apple, pear and elderflower. There are other interesting varieties on offer with a blend of Seyval, Reichensteiner, Muller Thurgau and Pinot Gris plus a Pinot Noir and Dornfelder red blend. While you are there, you might try the curiosity Ginking with is a blend of Denbies Sparkling wine with London Dry Gin. Being so close to London, means it is well set up for tourism with two choices of places to eat, accommodation, plus a farm shop, and the Surrey Hills Brewery. They run regular tours with special tastings all year and there is a tour to suit all weather conditions. 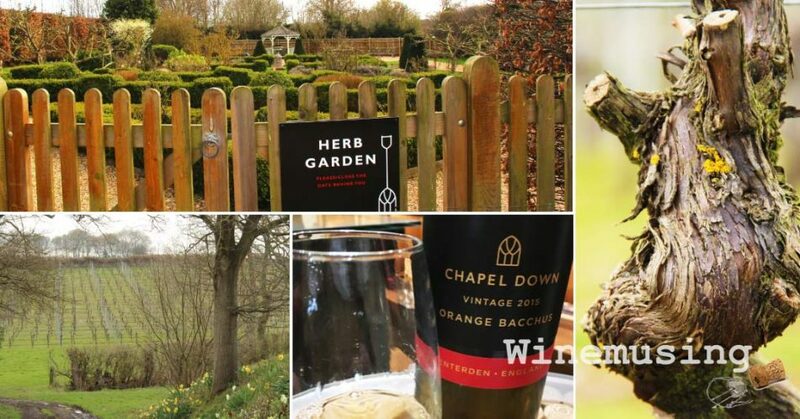 If you cannot get there by car, you are able to get there by train too, it is about 20 minutes easy walk from the Dorking Deepdene station to cellar door.